Lock in a great price for Pergola Panzió – rated 8.2 by recent guests! Great location and very friendly, helpful staff! Balaton is visible from the balcony. Ok to stay for one night, good breakfast. Nice walking paths by the lake and staff recommended a nice restaurant nearby. Általános svedasztalos reggeli,kedves személyzet,jó parkolás,kényelmes rugós matrac,tiszta szoba,az udvarról isteni kilátás! A tisztaság és a kényelmes ágy. A kilátás és elhelyezkedés pazar! A légkondi pedig megfizethetetlen volt ebben a kánikulában! Tisztaság, csendes, nyugodt környezetben található. Jó elhelyezkedés, szép kilátás, közel a Balaton part. Tiszta szoba,kènyelmes àgyak.Reggeli vàltozatos.Segítőkèsz szemèlyzet. 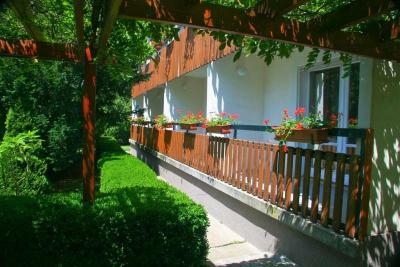 Located in Balatonföldvár, next to Lake Balaton, this hotel was refurbished in 2013 and offers a sauna and a range of outdoor activities including windsurfing and hiking. Guestrooms have air conditioning, cable TV and a balcony. 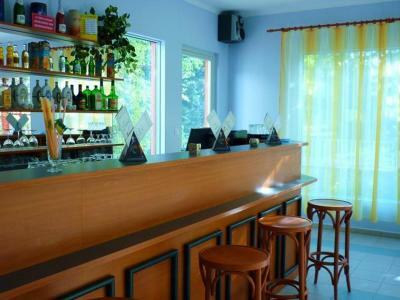 Pergola Panzió’s guestrooms have a mini-bar stocked with drinks and refreshments. 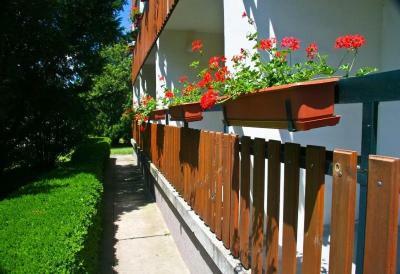 The balcony provides a picturesque view of the landscaped garden or Lake Balaton. Breakfast is available every morning at the pension. The on-site terrace offers panoramic views of Lake Balaton. Complimentary public parking is available at the property. 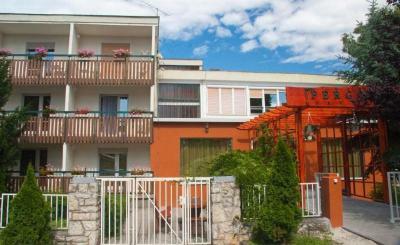 When would you like to stay at Pergola Panzió? House Rules Pergola Panzió takes special requests – add in the next step! Debit card Pergola Panzió accepts these cards and reserves the right to temporarily hold an amount prior to arrival. Pergola Panzió accepts these cards and reserves the right to temporarily hold an amount prior to arrival. A water boiler in the room could come handy. Poor wifi. At first we got a room which was not cleaned, full of trash and mosquitoes. It was clearly visible but the staff didn't notice until we raised it. However, we were moved to a new room quickly and got a glass of wine.